Can't find your business? Visit Business Directory to create a profile for your business. Are you sure you don't want Traffic Booster to manage the Page Title for this page? we'll need to log you out of SiteBuilder in approximately 1 minute. Click Stay Online to continue. Or click Log Out now if you are done. You can edit products and resize this store. Do you want to keep this page in your navigation? Changes to this element will appear on all your pages. You may need to make changes to your store. Examples: You may have items that overlap or your store may need to be resized. When you're done, publish this page to keep your product information up-to-date. What do you want to link to? How do you want the link to open? A thumbnail image will be created for the images you have selected. Add this page to my site's navigation. Choose where to put your link in the navigation menu. What do you want on your About Us page? You can customize the Service page later when editing your website. You can customize the Photo Gallery later when editing your website. What type of form do you want? You can customize your Partners page when editing your website. 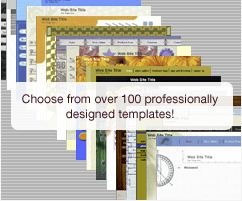 You can customize your Clients page when editing your website. You can customize your Jobs page when editing your website. You can customize your News or Reviews page when editing your website. You can customize your blank page when editing your website. Do you want to save changes to 'qwerty'? A new optimized image will be created for the selected image. How do you want to save the optimized version of this image? When entering your HTML, do not embed tables within other tables. Doing so may cause problems when your page is viewed. Any changes or additions that you make while this yellow bar is showing will appear on all your pages.